Who killed theatre director Max Quincey during a run of the play Jack in the Box in London’s West End? Who killed the male prostitutes back in 1985, when the show was last performed and when Max was the star? What is the significance of the Jack in the Box doll found with the body, the markings on its eyes matching mutilations to Max’s face, and identical to the toys found with each of the original victims? Has the killer returned? Is it a copycat? Or a revenge slaying for the rent boy murders when Max was prime suspect? The questions are stacking up for DCI Yvonne ‘Von’ Valenti, and her partner, DI Steve English, as she races against the clock to unravel a tangled web of clues, lies and halftruths, to catch a deranged killer before they strike again. Von investigates both cases simultaneously as she battles with a wall of silence and increasingly fractured relationships with the Chief Super and her journalist boyfriend, Kenny. Jack in the Box is the brilliant, explosive debut from newcomer Hania Allen, the first in what is certain to become an utterly unforgettable crime series. Cold Shot can be pre-ordered now for £9.99 +p&p. Be amongst the first to guarantee themselves a signed First Edition copy of what will turn out to be a very entertaining book. Everyone ordering the book before the official Launch in May 2015, will receive the choice of having a signed copy posted to them in the days before the Launch, or the opportunity to have their signed copy presented in person by Steve Christie at the Launch. One of the residents at the home, 82-year-old Rose, is convinced that something sinister is going on in Room 7 and that her own life is under threat. But Rose has dementia – so what does she actually know, and who would believe her anyway? As Catherine starts investigating Rose’s allegations, terrible revelations surface about everyone involved. Can Catherine find out what is really going on before its too late? 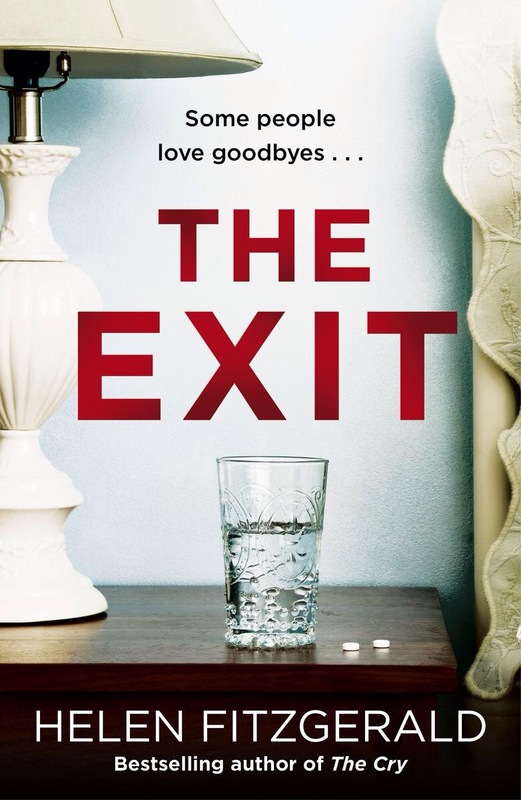 With a new Helen Fitzgerald novel you know before you even start to the book that you are going to get two things a disturbing thriller that also has has dark humour, a black comedy if you like. The main character Catherine, a lover of social media, unemployed and drifting is finally driven to get a job as a way of avoiding another unpleasant evening meeting with her Mum where she would be presented with her failure following items for discussion, and quite possibly, a list!. The job Catherine managed to get is at Dear Green nursing home where the most appealing of the residents is 82-year-old Rose. Rose has dementia and appears to be thrown back to an event that occurred when she was 10 and an evacuee with her sister at a farm. Rose is also a famous author and illustrator with a series of books to her name which features a brave little girl called Tilly, books the young Catherine had loved. I always thought I’d like to write one day, as I can remember writing stories as a child and my teachers telling me I had a vivid imagination. In June 2010 our holiday home was burgaled whilst we were out for the evening. It was really scary when we returned as we didn’t know if the burglars were still inside. Thankfully they weren’t, but the feeling of dread stayed with me and the more I thought about it, the more I thought it would make a great opening to a book. Three months later I decided to write that opening scene (you’re alone in bed, in the security of your own home and you hear someone breaking in; how would you react?). That 4K word scene developed into my first novel Integration. I’ve always loved reading and in particular I like a good thriller, so when I decided to give it a go, there was only one genre I could choose. I’m a huge fan of Simon Kernick and Stephen Leather and I’d say they definitely influence the intensity of my writing. Growing up, I read a lot of Stephen King and John Grisham, so I think they’ve influenced my character writing. I wrote to twenty or so agents for Integration and wasn’t surprised when there was no interest. I found it frustrating that some agents didn’t even reply (despite including stamped return envelopes). After I self-published Integration, I decided not to bother trying to find an agent / publisher. I self-published 5 further books and was about to publish Crosshairs too when a friend of mine told me to speak to Endeavour Press. They offered me a contract to take that book on and my follow-up and are also due to publish the third book in the series this June. It depends what the story is about. My 6th novel ‘Trespass’ deals with the topic of sexual assault and I must have read umpteen books on the subject (from both the perpetrator and victims’ viewpoints). I was keen to make my character’s thoughts and actions as close to the truth as I could. A lot of what I write is made up, but I do spend a lot of time on the internet when I need to be factually accurate. No. I’m not sure readers would believe the characters if they were based on the crazy people I know. I’d like to say it’s because they are good stories. I designed all the covers for my self-published titles and I still think they look pretty good too. 9. Do you see any of your characters personality in yourself and vice versa? Only Mark Baines. The great thing about writing a character is the ability to explore the darker recesses of my own personality. I think most of my characters have extreme versions of my own views and can say and think things that I cannot. It’s actually quite cathartic being a writer. I am currently editing a book called ‘Double Cross’, which is the final part of ‘The Cadre’ series. That should be out in June. I am already plotting for my tenth novel, which I aim to release in December. It will be a missing person case, involving a private investigator called Johnson Carmichael. He has appeared in two of my other novels to date and he’s a man prepared to do whatever it takes to get the job done. I am really, really excited about writing this as it will be a whodunit with a festive theme. It promises to be dark, thrilling and emotive. The opening burglary scene in ‘Integration’ was probably my favourite as it was the first. If I hadn’t enjoyed the process, I probably wouldn’t still be writing today. Write the book YOU would want to read, otherwise you’ll never be happy with it. Also, try not to get too upset by any criticism youreceive (it can be VERY hard!). It’s important to remember that not everybody will like it. The first thing I ever did that could be considered creative writing for a wide audience (hah!) was a cartoon my best friend and I did for the back cover of our high school magazine in Brechin back in the mid-80s. Not so much writing as drawing a cat and a rat based heavily on love of the Garfield cartoons, but there was always a plot. Does that count? As an adult I messed around with a story based, again, on animals. My wife’s family live in the country here in Kentucky and had several cats and dogs running around. I heard stories of ducks and snapping turtles and thought it would make a great children’s story. I never did finish it, but still have the story in my head. Perhaps one day. I have been a fan of crime fiction for several years. My dad got me started on Ian Rankin and from there I stuck to Scottish authors or stories set in Scotland. Living in Kentucky I tend to be way more patriotic than when I lived in the UK. It’s those rose-colo(u)red glasses, you know. I’ve already mentioned the master (bows low), Ian Rankin. Other crime fiction authors include Val McDermid, Stuart MacBride, Allan Guthrie, Quintin Jardine and Ed James. I love the humor and imagination of Terry Pratchett. Like many people, Colin Dexter’s Morse was probably the first fictional detective I paid any notice of. Growing up, the TV show was a “must watch.” Note to self: Read all the Morse books again. I have to say that from the outset I have never tried to win the interest of a publisher. I have chosen, like one or two others, to go the route of self-publishing and put all my eggs in the Amazon basket. For now. I’d rather win the interest of readers than publishers and that’s where I concentrate all of my non-writing efforts. Perhaps this question for me should be: “You have many interesting characters in your head…” I think Tom Guthrie will turn out to be a fun character to develop. He has already taken me down paths I had not planned to go. He’s likable but can be completely clueless. The supporting characters in TOOLS OF THE TRADE, the first full-length Guthrie novel also excite me. There’s tension, but the chemistry seems to be working. I suppose my answer is that I grew up with a dad who was a police officer in Tayside and I heard all the stories. He has helped give me an understanding of what it was like being a copper. We also were fortunate to live beside some characters through the years, none of whom will show up in my stories. That’s my official line anyway. I have been able to make good use of social media. I have connected with retired forensic specialists and others in the business of crime that can bring a little more factual reality to the stories. A great source of information have been the free courses offered by universities through a program called FutureLearn (www.futurelearn.com). You can take a classes in forensic science or creative writing. These are not in-depth forays into a subject and you’re not coming out the other end with a degree, but the information is good enough to put to use in creating your story. The most important thing to me, however, is not to get bogged down with procedure. I want to keep the stories loose enough that they don’t depend on me nailing down how the SOCO team would go about recording evidence at the scene, or how blood spatter can be used to triangulate a gunshot victim’s position at the time he was shot. The characters and their path through the story is more important. Hopefully I get the big things fairly close and I reserve the right to make stuff up. Many of the characters in MURDER IN THE SMA’ GLEN (release date: February 19th, 2015) are based on real people because the story is based on an actual murder. Their characteristics, however, are completely fictional, so it was fun to create fiction out of that story. 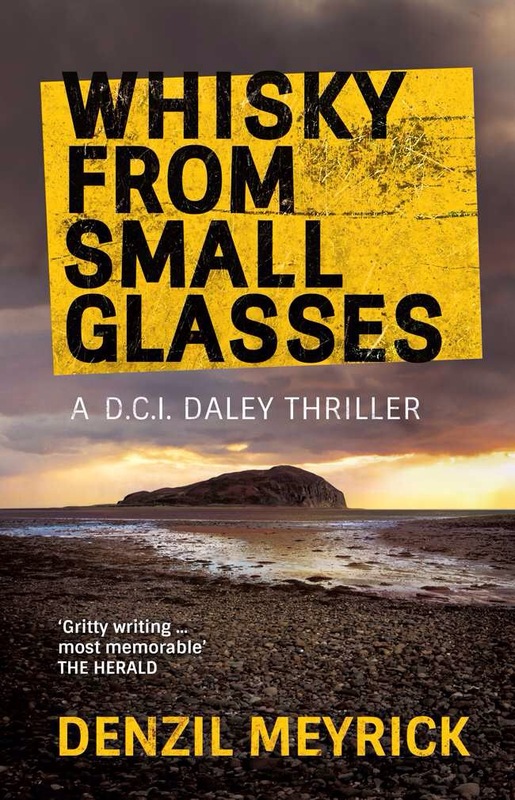 The Scottish crime fiction scene has become a crowded one so you have to write something pretty special to be noticed by the book-buying public. I think my characters will be able to stand up for themselves. I know the countryside in which the stories are set and the scenery will be a character too. Although I have chosen to write about some nasty things – let’s face it, murders are not pleasant – I’m not a big fan of foul language for the sake of “realism.” The language I use is mild. The descriptions of nasty events doesn’t go overboard on gore, so I think more people will find my stories easier to digest, yet still experience solid crime fiction. Some of Tom Guthrie’s traits, not the best ones, are probably mine. The reason I published WRUNG OUT was to develop Guthrie as a character in my head, help me develop him as his own person. Subconsciously, perhaps, he is a combination of Rebus, Lewis, Morse and every other detective I’ve read, but I’ve also consciously given him some of my habits, likes and dislikes. Since the two short stories are finished, it’s back to completing the Tom Guthrie novel, TOOLS OF THE TRADE. I already have the next two books outlined and the story arc will see the development of one of the other characters into a more prominent role. All three books will take place in the county of Angus and we’ll experience the cliffs at Arbroath, the wilds of Glen Esk and the big city of Dundee! I don’t have one particular scene, but the scenes that inject a little comedy are fun. Not the writing so much, but the feedback. My wife, Christy is my editor and critic. She reads the first draft and provides me with all the stuff I need to correct, or change because it didn’t make sense or could be confusing. When she giggles at the parts I thought were funny when I was writing them, I know I nailed it. When we’re watching TV and a character does something dumb and she says, “That’s just the kind of thing Guthrie would have done. It makes me so mad,” I know I’ve created something out of thin air (and a little gray matter) that has connected with someone else. That’s quite satisfying. Every independent author should read “Write. Publish. Repeat” by Sean Platt and Johnny B. Truant. Their advice is to do just that. Don’t sell yourself out to make money by jumping on any old bandwagon, but do the thing you love to do, write, get it in front of people who might buy it, then do it again. One of the reasons I published WRUNG OUT and wrote MURDER IN THE SMA’ GLEN before finishing TOOLS OF THE TRADE was to have a couple of stories out there, hopefully creating a bit of a buzz and catching the eye of future fans of my work. Another piece of writing advice I like is “enter a scene late and get out early.” This keeps the momentum going and the pace high which, for me, is important in a crime fiction novel. So write and keep on writing. 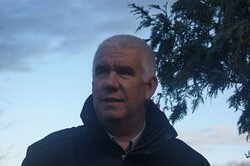 Tom Guthrie has retired from Tayside Police in eastern Scotland. While spending a weekend at an isolated hotel in the Sma’ Glen he is suddenly plunged into the middle of a mysterious death. Used to leading the investigation can he just sit back and watch? 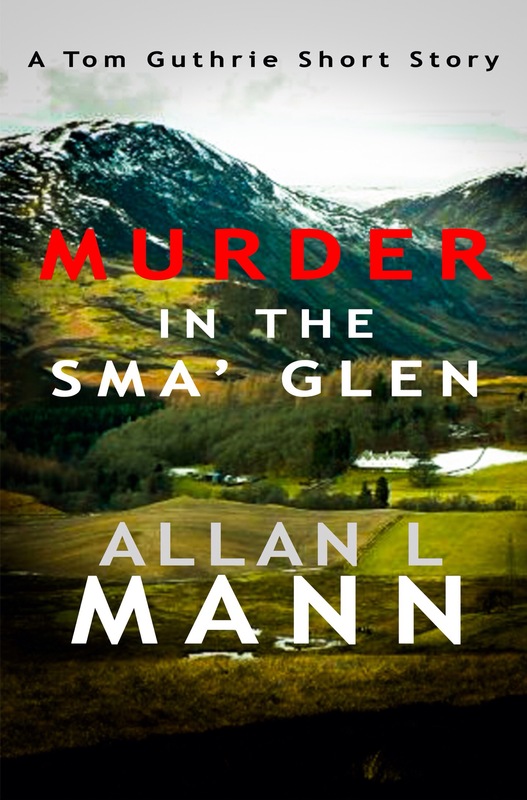 Murder in the Sma’ Glen is the second of two short story prequels leading to the publication of the first full-length Tom Guthrie novel in early 2015. 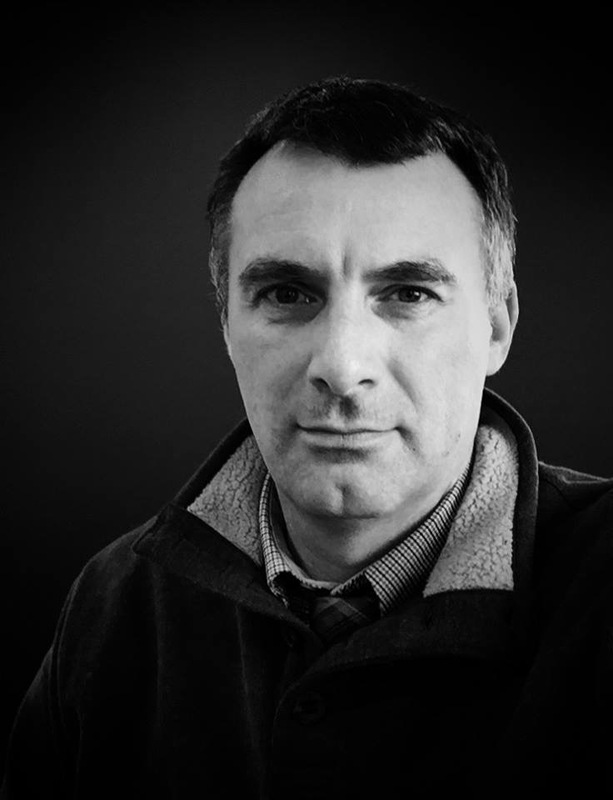 Scottish Detective Sergeant Tom Guthrie gets results the old-fashioned way. He’s not one for being politically correct and doesn’t like the direction the force is taking. Jock Bishop is attacked after walking his girlfriend home from a night out. He dies from the beating in the early hours of the morning. His girlfriend is the ex of a local thug. Is there a connection? Guthrie thinks so and uses old school methods to get the information he needs, but goes too far when using the same tactics with another witness. 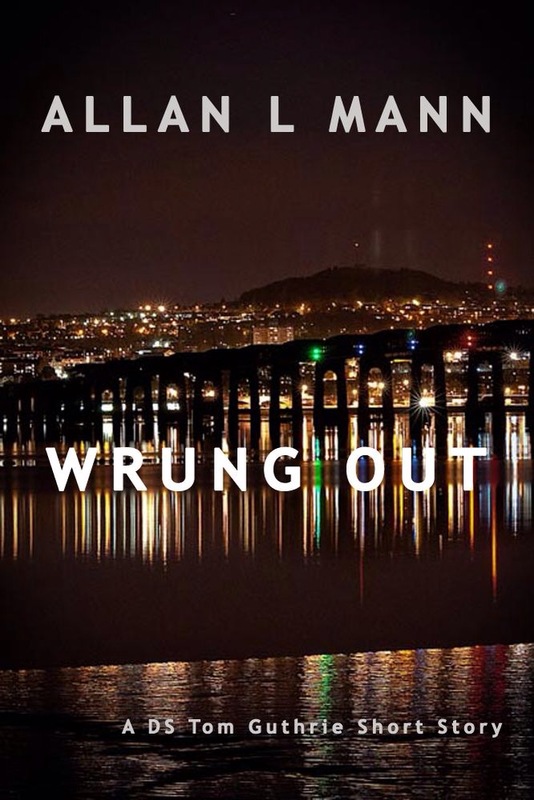 Wrung Out is a short story prequel to the Tom Guthrie Trilogy which takes place in the county of Angus in eastern Scotland and set to debut later in the year. A hard boiled, gritty crime novel introducing anti-hero Davy Johnson as he takes on a corrupt cop to clear his name. Davy Johnson is a young man from the wrong side of the tracks with a target on his back. After a spell in prison he is trying to make a life for himself but one cop won’t leave him alone, following him around and carting him off to the station just for the fun of it. The harassment turns sinister when Davy witnesses his nemesis overstep the mark with a local junkie – and makes the mistake of telling him he’s been seen. What happens next sees Davy framed for a string of murders with no one to help him but the gang leader he turned his back on when he got out of jail – but what will he want in return? With the help of an ex con and a local cabbie Davy goes on the run to prove his innocence but as the body count rises he discovers a connection between what’s happening now and a tragedy involving his father many years before. 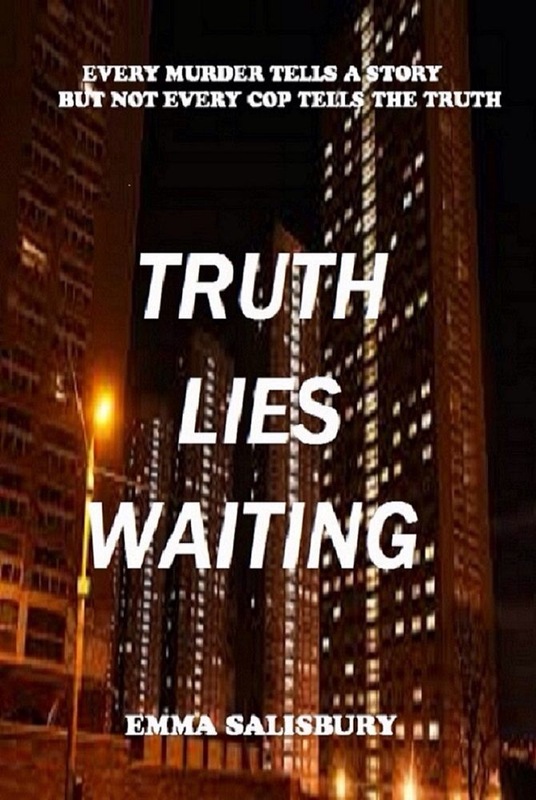 Will he be able to work out the truth from the lie in time to save the killer’s next victim? I worked as a bus driver in Edinburgh, and always carried a book with me, and back then, I was into horror, reading James Herbert, Clive Barker and one of my favourites, Shaun Hutson. So I decided to write a horror novel. That didn’t get picked up, and neither did the follow up, but I learned how to shape a book with them both. I was reading all sorts of books, and I enjoyed crime novels, and I was always thinking about plots, and I came up with the idea for my own detective and it started from there. I was thinking about a name for him, and at the time, I was sitting at my computer drinking a can of Miller’s, and I thought, Okay, why not? And Frank Miller was born. I discovered a new writer back in 1993, called Quintin Jardine. I loved the way that Bob Skinner didn’t take any nonsense from anybody, and he was a tough guy. I am also a fan of Ian Rankin, but I didn’t want my books to be the new Rebus, or new Skinner. 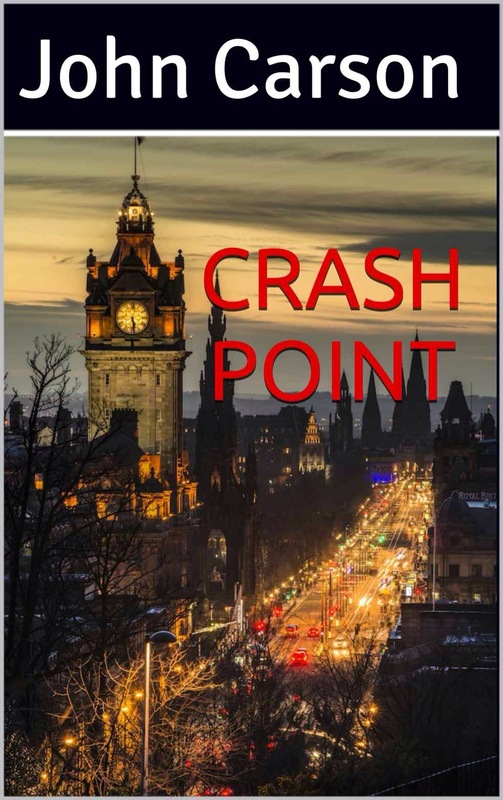 Frank Miller is set in Edinburgh, and he’s a different character, but I think readers of Quintin Jardine and Ian Rankin would like my books. Same locale, different writing style. 4. When you first starting writing, did you find it easy to get a publisher intrested? Yes. A few agents wanted to read my first two crime novels, but none picked me up. One lady in particular gave me great encouragement, but I was working long hours and couldn’t churn the books out. Fast forward a few years, and I sent my third crime novel to an agent and got representation. He loved my book, and was getting good feedback from some editors he spoke to, but he left the agency and the publishing world before the revised book made it to his desk. After reading about many success stories in the self-publishing world, I decided that Amazon’s KDP was the way I wanted to go forward. 5. There are many interesting characters in your novels, do you have a particularly favourite one? My favourite character is Neil McGovern. He mushroomed into something completely different altogether after having just a short role to play in the beginning. My agent liked him a lot, and wanted him to play a bigger part, and we came up with his new role. Now he’s going to be in at least the next three books. 6.What research have you had to undertake for your novels? Years ago, I wrote to what was then Lothian & Borders Police and asked if I could talk to a police officer. They invited me along to their HQ at Fettes, and I sat with an officer in the canteen for an hour or so taking notes. I also called the city mortuary, and the man I spoke to was a mortuary assistant, and he invited me along, and gave me a tour – though I didn’t see any dead bodies! My late mother was a police officer with Fife Constabulary, then with the MOD Police at Rosyth naval yard, and she told me many stories. And lastly, I emailed the L&B press office, and a press officer there answered my many emails, and she gave me some great insight into the day-to-day life of a detective. I took many liberties with reality though! This isn’t a manual on how to be a Police Scotland detective, and if a real cop reads this and thinks, “That’s not how it’s done!” then I will have achieved what I set out to do. These are my detectives, my Edinburgh, and it’s my job to make stuff up! 7. Are the characters in your novels based on any real life? When I was on the buses, I tore my shoulder rotator cuff, and was put on light duties for 9 months, and this was in an office that made up the information boards that went into panels at bus stops. Suddenly, instead of being on my own all day driving, I was working with a group of people for 8 hours. Although there were a few permanent men there, this was the place where you went on light duties, and it was like a revolving door for bus drivers with injuries and illnesses, so I met a lot of men and women from other depots, people I didn’t know, as well as people I did know, and some of them were such a laugh. We worked hard but there was a great camaraderie. This was one of the best places I’ve ever worked in. Some of the character traits I used in the book, but none of my characters are based on any one person. A very long time ago, Edinburgh Council had a weekend writing course at Craigmount High School in Edinburgh, and the tutor was none other than Ian Rankin. So Friday evening, all day Saturday and all day Sunday, we had the undivided attention of this famous writer, who was teaching us how to structure our novels. 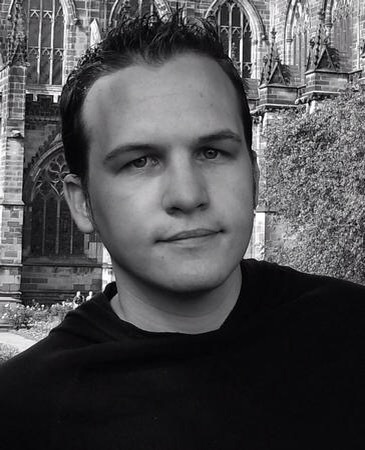 He gave us one piece of advice that I will never forget: make your Edinburgh novel your own. So when I set out to create Miller, I didn’t want him to be a drunk, or a divorcee, but when I was thinking about what his wife should do for a living, I decided that she should be a detective, like him. I wanted readers to feel emotion too, so when you first meet Miller, his wife has been dead for over two years, and I wanted her to have been a good cop, but she was killed on duty, and I wanted to make that part of the story. He has flaws of course, but he’s a normal guy, and although he is partnered with an older detective of a lower rank in the first book, I introduce him to Kim who works for the Procurator Fiscal’s office. He works with her on this case, and she is in the second book, again partnered with him. With L&B Police morphing into Police Scotland, the PF wants Kim to be a part of the team, so she is out and about with Miller. Not a detective, but an investigator. Miller’s father – himself a retired detective – currently lives in Miller’s apartment. So right away, I think the mix of characters is interesting and added to that a good plot, short chapters and you have what I hope is a fast-paced novel. 9. Do you see any characters personality in yourself and vice versa? Miller is witty, charming and handsome, so yes! Seriously, I am stubborn and like details to be right, so I think Miller is like this too. I like people to call when they say they’re going to call, and I will do anything to protect my daughters, who tell me they’re old enough to look after themselves! (They never will be, in my mind!) Miller doesn’t have kids yet, but Kim does, and she is going to be his romantic interest, so there’s time yet to be an over-protective dad! 10. If you can, could you give us a sneaky peck into any books you have planned for the future? Book 2, SILENT MARKER, will be out in Spring 2015. In book 1, we see in flashback that Miller’s wife was killed when a kidnap ransom drop went bad. In book 2, the young kidnap victim is discovered when the burnt-out caretaker’s house in an old cemetery is being demolished, sending Miller and his team on the hunt for the kidnappers again. This time, whoever is behind the kidnapping is getting rid of evidence from the kidnapping, including people they think might bring them down. They have a job in mind, a job that’s been years in the planning, and the kidnap was just a small part of that plan. Now the job is nearly at hand, and they will let nobody get in their way. 11. What was your favourite scene to write in your novel and why ? I liked writing the scenes where Miller and Kim Smith were in the catacombs of Warriston Cemetery, recounting the night they were each there, nine weeks earlier, when Miller’s boss was attacked and killed. I grew up in Warriston Road, opposite the cemetery, and this was our playground. My friends and I would play football in there, ride our bikes in there and smack the giant hogweeds with sticks! One day, we decided to go into the old catacombs. It was very dark and creepy, and writing those scenes brought back a lot of good memories. Although I used literary license to make them much bigger inside than I remember! Don’t ever give up! If writing is your passion, then keep at it. Read lots of books in the genre you want to write in. And write. Don’t spend hours on the internet, except to do research! Spend those precious few hours writing. I worked long hours, six days a week, but I spent my spare time writing. And lastly, if you want somebody else to believe in you, you have to believe in yourself.